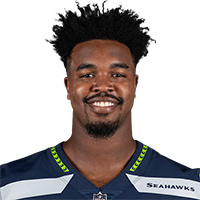 Swoopes signed a reserve/future deal with the Seahawks on Tuesday, John Boyle of the Seahawks' official site reports. Analysis: Swoopes spent much of 2018 on Seattle's practice squad, though he did appear in one game, catching his only target for 23 yards against Oakland. The Texas product will look to make the 53-man roster in 2019. The Seahawks released Swoopes from their practice squad Tuesday, Gregg Bell of The Tacoma News Tribune reports. Analysis: Swoopes was added to the team's practice squad less than a week ago. He'll look for similar work with another franchise. The Seahawks signed Swoopes to their practice squad Wednesday, Gregg Bell of The Tacoma News Tribune reports. Analysis: Swoopes was waived by the Seahawks four days ago to make room for Ed Dickson on the active roster. The 23-year-old recorded one reception for 23 yards during his lone game with Seattle and will work for another shot at the 53-man roster by impressing as a member of the team's practice squad. Swoopes was waived by the Seahawks on Saturday, Curtis Crabtree of Sports Radio 950 KJR Seattle reports. Analysis: Swoops was brought on to provide depth at tight end earlier in October but his services are no longer needed with Ed Dickson (quadriceps) activated from the Non-Football Injury list. The 23-year-old is a candidate for the practice squad if he clears waivers. 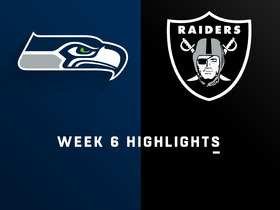 Swoopes snagged his only target for 23 yards in Sunday's 27-3 win over the Raiders. Analysis: Swoopes was elevated from the practice squad Saturday and given immediate use in his NFL debut with Nick Vannett (back) inactive. Darrell Daniels was the only other tight end suited up. The Seahawks have a bye in Week 7. Swoopes was promoted to the Seahawks' active roster Saturday, Scott Casterline of Team Sports Agency reports. Analysis: Swoopes was called up to provide depth at tight end, as starter Nick Vannett (back) is considered questionable for the contest in London against the Raiders. Swoopes joined the team's practice squad earlier in the week. Swoopes signed with the Seahawks' practice squad Tuesday, Curtis Crabtree of Sports Radio 950 KJR Seattle reports. Analysis: Swoopes played one game for the Seahawks last season and recorded just two offensive snaps. With Will Dissly (knee) out for the season and Ed Dickson (quadriceps) out until Week 7, Swoopes will be an important addition that may have an opportunity to elevate at some point.